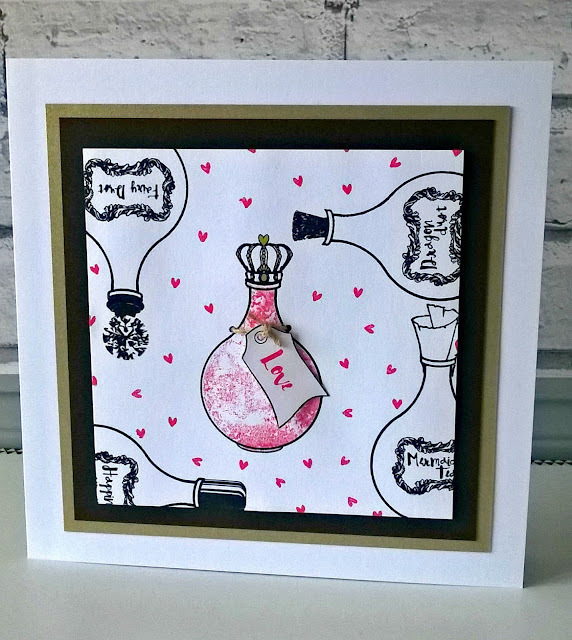 Today I am sharing the second of my Design Team projects using the Paperbabe stamps October release. Today's project is an 8x8 card with a Love potion as the main feature. 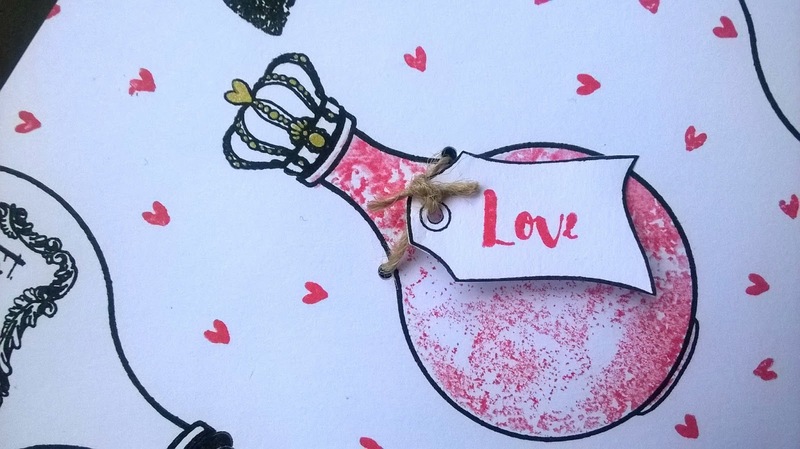 I stamped bottles randomly over a piece of white card and then added the bottle tops, I wanted to keep one bottle as the main focal point so used the crackle/distress stamp to fill the bottle. As I had already stamped the outline I needed to be careful not to miss stamp, so I used the bottle template to cover the rest of my background and stamped into the void. I added labels to all of the bottles but wanted my "LOVE POTION" to stand out so I stamped the tag on to white card and cut it out, I then stamped the word "Love" in red ink and punched a hole in the tag. To attach the tag I punched a small hole either side of the bottle neck and threaded some twine through, this allowed me to attach the tag and give dimension to me card. 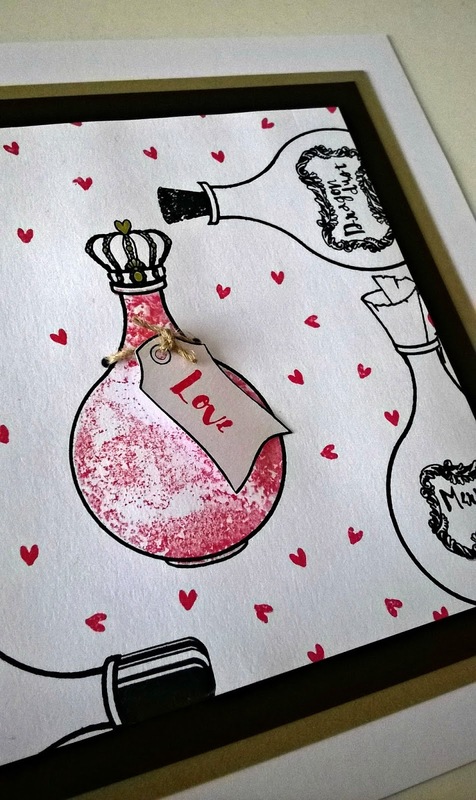 I added some gold ink to the lid of the bottle and stamped little red hearts in the background.